It seems that we have literally been lost in a fog here in the northeast as today was the second day it has been super damp with an incredibly dense fog. You know, the kind of weather where you just can't seem to get the chill out of your bones. 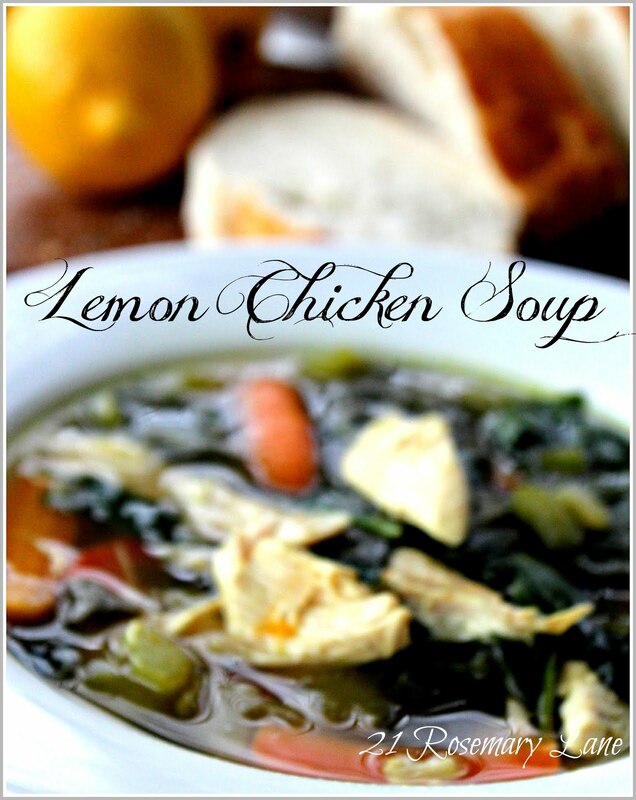 So for supper tonight I made this delicious chicken soup with fresh vegetables and a hint of lemon. I served it with some crusty bread, and instead of our traditional Sunday evening supper at the dinner table, we ate it all snuggled up in the living room by the fire. I had a glass of chardonnay with mine while Chris enjoyed a Riesling with his soup. This recipe is from my new favorite magazine, the winter issue of The Cottage Journal. In a large pot or Dutch oven, heat the oil and add the onion celery and carrots. Saute for about 5-7 minutes. Add your broth and bay leaves, bring to a boil and let simmer over low heat for 15 minutes. Stir in the chicken, spinach, fresh lemon juice and cracked black pepper. 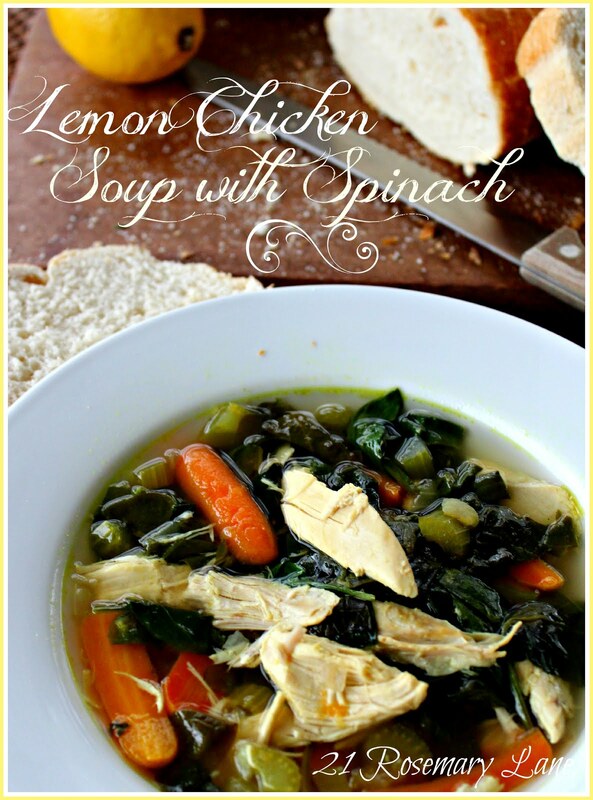 Cook until the spinach is wilted and the chicken is cooked through. YUMMMMMMMY! And today is the day for it..Happy Sunday..Judy. Looks pretty too!! Thanks so much for the recipe and have a wonderful evening! Oh yummy. And the fire is even better. I am SO going to make this soup! My mouth is watering. Thanks for sharing! 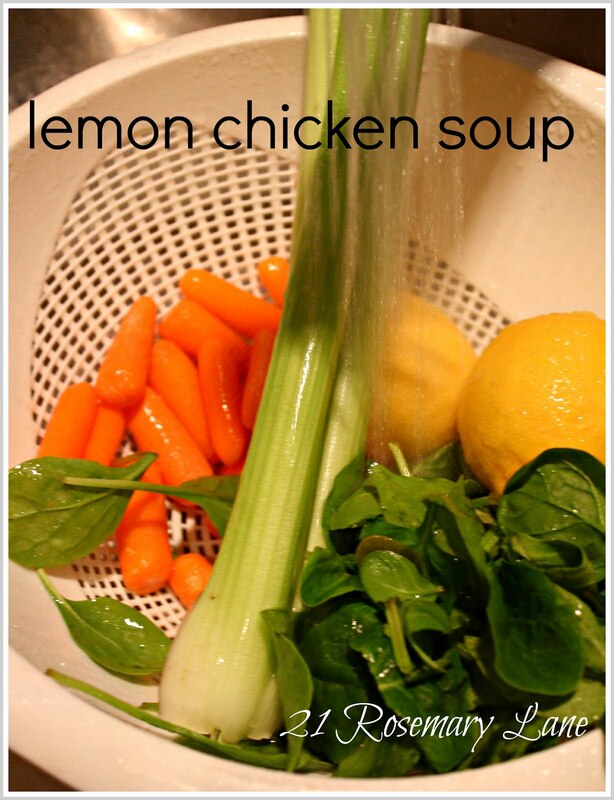 I love chicken soup, LOVE. Thanks for sharing Barbara and for your sweet comment on our home. The perfect meal for a cold winters day! How yummy!